The ancient coracle. This small round boat was used for fishing and transportation in the swiftly flowing waters of Wales, as well as parts of England, Ireland, and Scotland for centuries, if not thousands of years. Early Bronze Age cave paintings have been discovered illustrating the small round boat, and subsequently, many believe the coracle to be the first form of water transportation known to man. 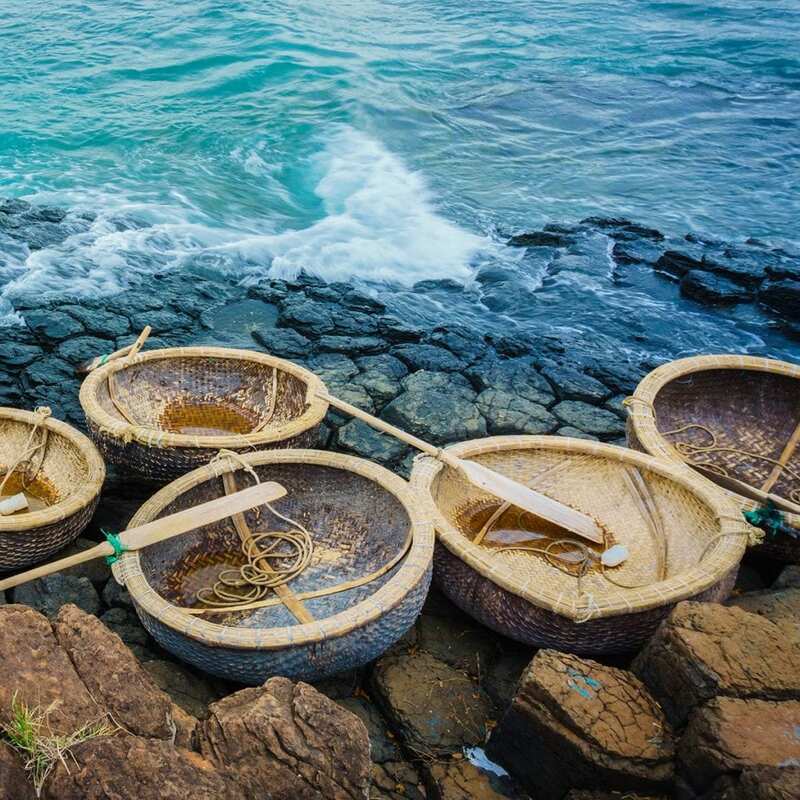 Today, many in the Middle and Far East still use versions of the small round boat for fishing and transportation. 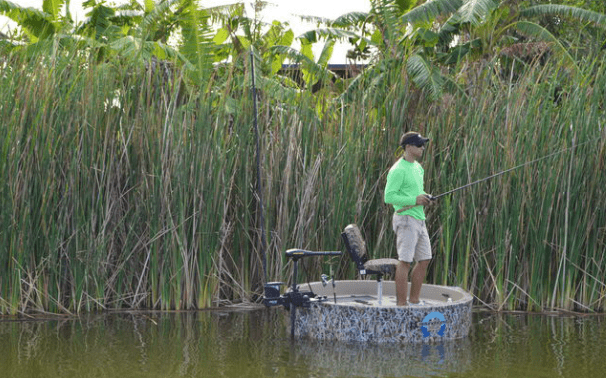 The coracle’s simple, yet time tested design has not changed significantly since its inception, however, it was only a matter of time before a modern day coracle was released to the masses. 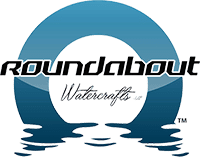 Roundabout Watercrafts, LLC., has done just that, taking the small round boat to the next level by developing, engineering, and manufacturing its new line of one-man personal watercrafts with the coracle in mind, incorporating modern day functionality into the already proven design, revolutionizing the round boat concept for today’s personal watercraft enthusiast. 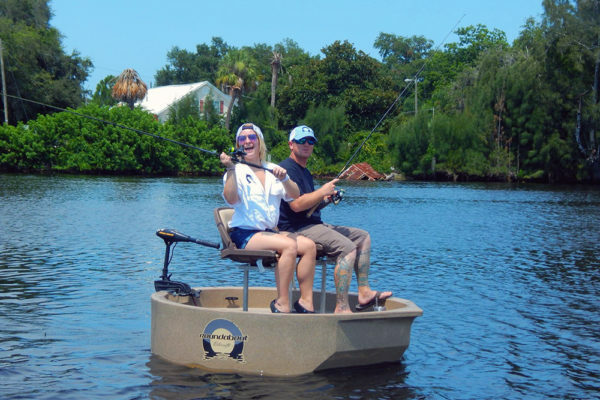 By utilizing the ancient coracle’s basic principles and round shape, while adding generous storage compartments, a spacious level deck, and a flat bottomed hull to the small round boat, Roundabout Watercrafts has created a stable, lightweight, one-man boat ideal for anyone who loves being on the water. 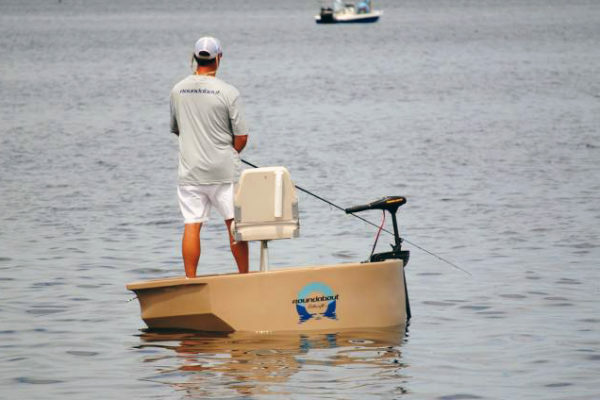 The 360-degree open radius provided by this ultra skinny water skiff delivers an experience that is completely different than any other one-man boat on the market today. 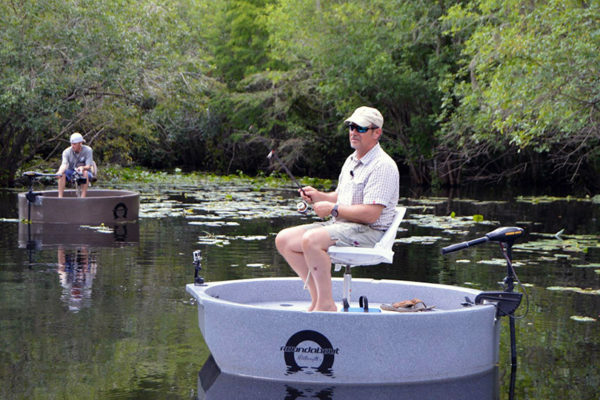 Our version of the small round boat will brave the elements and stand the test of time like the original coracle, while providing the ride quality, maneuverability, and modern day comforts no other one-man skiff can offer. 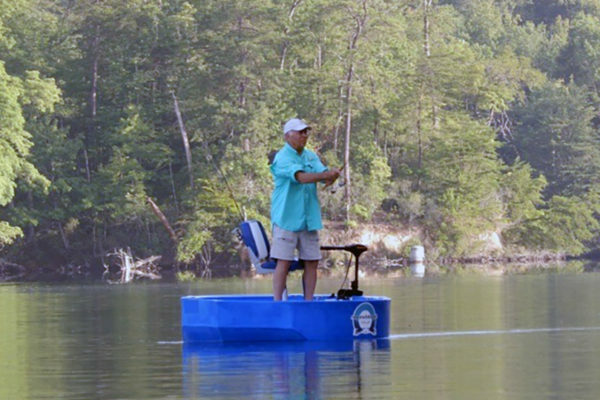 The features of the Roundabout Watercraft mimic those of larger, more storied crafts. 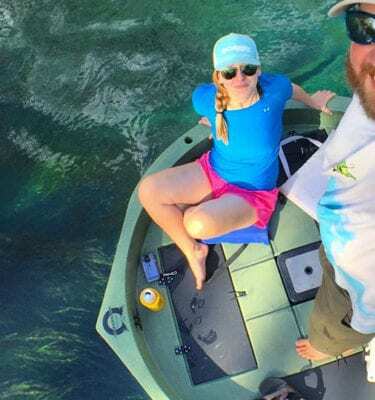 A Carolina flare leading up to the bow of our one-man boat suppresses chop while also preventing waves getting over the gunwales, keeping you dry. If water does manage to make its way aboard the Roundabout drainage channels in the center of the boat gives water a path to self-bail out of the hull, back to where it belongs, and stainless steel fasteners prevent future corrosion problems. The sturdy nylon cleats are brass inserted to the Roundabout to give you the flexibility to tie off to a dock, anchor line, or another Roundabout, allowing you to stay in place when needed. Roomy storage compartments accommodate even the most prepared traveler, providing more than enough space to not leave anything behind. 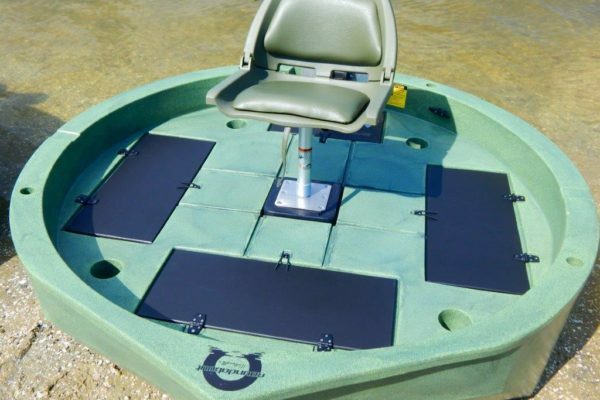 Molded rod holders offer the ability to bring an arsenal of fishing rods along on your voyage while keeping the deck free of clutter, and the molded cup holders integrated into our modern day coracle’s design provide storage for even more gear, or for your favorite drink as intended. 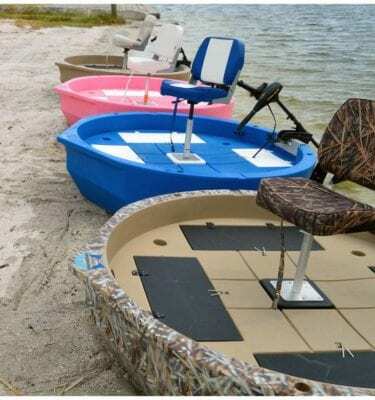 Roundabout Watercrafts are rotationally molded out of polyethylene, making them exceptionally durable, yet still light enough to transport to your favorite waters with ease. Want to make transport even more effortless? 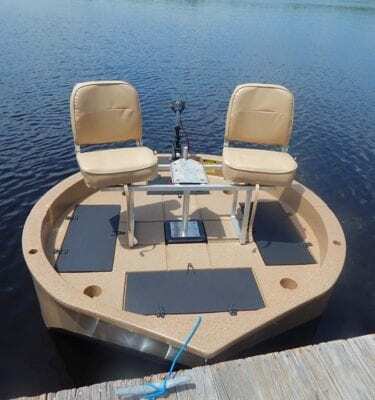 Roundabout Watercrafts offers a space saving aluminum trailer custom fabricated for painlessly storing or launching our small round boat in places other one man boats cannot. 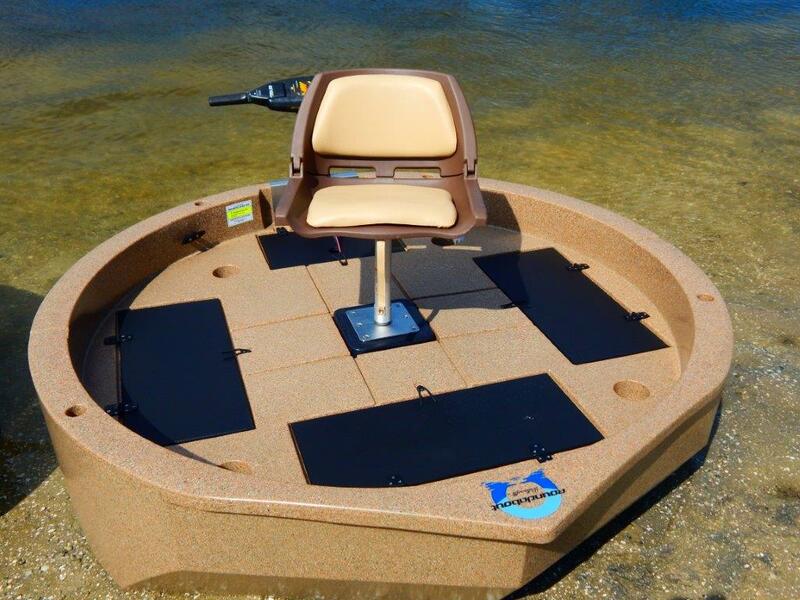 Whether you’re an angler, hunter, explorer, or just love being on the water, Roundabout Watercrafts will take you where you need to go, allowing you to get anywhere, anytime! 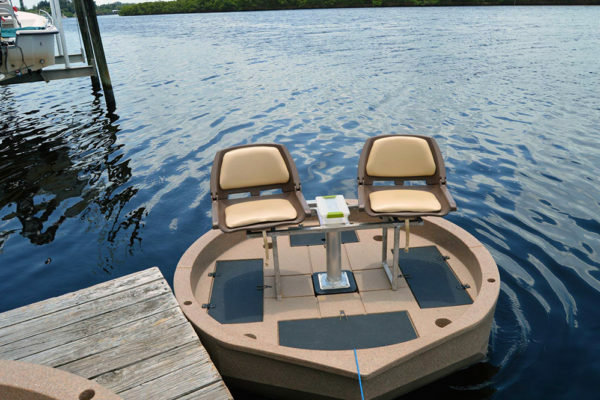 Check out some of our boats!